A Moving Binder – the essential item you need for your move. If there is ONE thing you do before relocating, please create a moving binder. My moving binder was crucial to maintain significant details of relocating to a new city. It was the place to store documents, contracts, lists, and receipts. I was able to keep a running to-do list. I could quickly reference documents sent from moving company. During all of the chaos, I knew I could find crucial documents promptly. As soon as I know there is a possibility we may be moving; I create the binder. 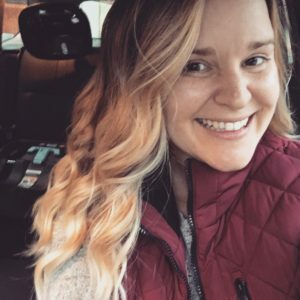 My husband thinks I am nuts – over-planning and being too Type-A. But, by preparing early, I can have a checklist of all the things I need, long before I need them. Therefore, I wasn’t scrambling at the last minute to have documents in order. I also print out and organize into categories all correspondence with companies involved in the move so that I can quickly reference them. I have created many documents for you to use to stay organized while forming your moving binder. 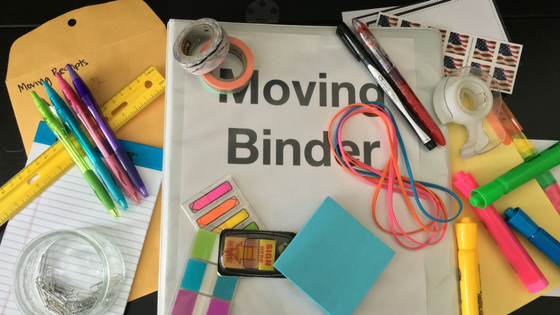 If you would like to access my FREE Moving Binder Bundle, please click here. These documents are also listed below, individually, where I discuss sections of the moving binder. I find 1.5-2″ binders work best – large enough to keep things organized. The bigger the move, typically the bigger the binder needed. I like to make my moving binder stand out so that it doesn’t get lost. 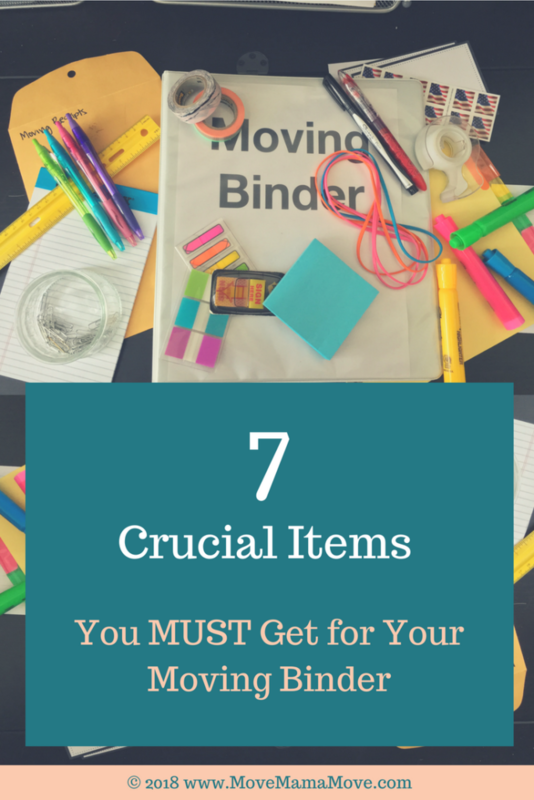 Pick a bright colored binder, decorate it, and use flashy colors & stickers. It is challenging to misplace something that is so obnoxiously decorated. I like to purchase at least two sets of dividers so I can have many categories and stay super organized. Coming up with categories can be tough. Often, you don’t know what to label each section until you’ve already been collecting notes and information. To give you a head start, please print the entire FREE Moving Binder Bundle I have created, that you can find here. If you choose to print one/category page at a time you can view them spearately in the Moving Binder Bindle in the tools section . Keep track of what do you need to sell? On what platform? For how much? What are measurements of various rooms, furniture, hallways, stairways, etc. Something that can fit in the front pocket of binder and has three holes punched so I can insert my notes anywhere in the binder. I never want to scramble to find a scrap piece of paper when I am chatting with a future mover. Why? I will lose that scrap piece of paper. I will miss out on the initial piece of information while I am looking for something to write on. This is my catch-all. Any small items that need to be accessible go in this pouch. I place pens, printed flags, post-it notes, business cards here. Jessica, what a great idea!!! I love it! Putting colored duct tape on my shopping list for our next move.